As Spiritual Counsellor to Teams of Our Lady Warrington 1 I am often asked to lead them in their annual retreat. In previous years this has been a day near the sea at ‘Sandymount’ in Crosby, Liverpool or St. Joesph’s, Freshfield. However, this year the Team decided they would like a weekend retreat. Having searched the internet for a suitable venue that was a reasonable price it was decided to rent a house. The ideal house was found not far from Hornsea in East Yorkshire. Although the advance party found no difficulty finding the house – thanks to wonderful driving, the satnav and the fact we arrived in daylight - those who arrived after work had a little more difficulty as it was at the end of a two-mile country lane and was not easy to negotiate in the dark. However, after a brief catch-up plans were made for the starting time the next morning. Having breakfasted well the group gathered for Morning Prayer in the beautiful lounge. The morning was spent looking at their reason for opting for a longer retreat, a review of how they spend their day and a look at the amount of time given to prayer. After coffee, there followed a wonderful discussion on marriage, its blessings and difficulties in the 21st century, before each couple was given time to look at their relationship, their quality time together and their prayer life together. 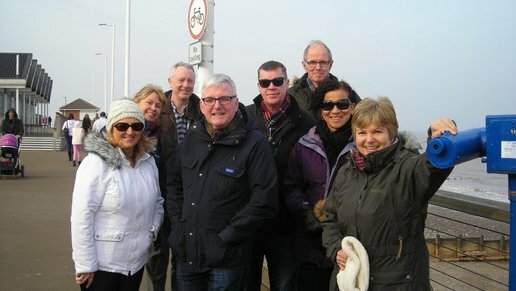 After lunch the group went for a long walk along the beach at Hornsea, giving each couple time to talk further about the events of the morning before we joined the congregation of Sacred Heart parish in Hornsea for Mass. The evening was spent over a delicious meal sharing news as we usually do at our monthly Teams meetings. Although a planned start time for Sunday was agreed, as everyone was ready we were able to start half an hour earlier – talk about being keen! I led the group in a guided meditation on that day’s Gospel – the woman caught in adultery – before we looked together at how we can share our faith with others, the difficulties of doing that and what would make this easier. After coffee the couple were given time to talk about their goals for the future and to come back to the whole group with a goal they were happy to share so that we could all help and support each other. These were very humbling and it was good to know we share some of the same difficulties! 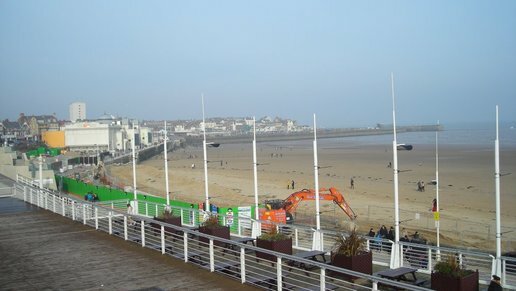 After our final prayer we set off for lunch in Bridlington and another long walk along the beach before those who had work the next morning had to leave. 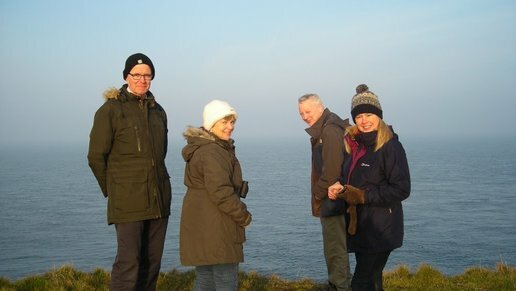 Those of us lucky enough to stay till Monday had the opportunity for an ice-cream and a walk along Flamborough Head to admire the scenery and the bird life before returning for a light meal. As Spiritual Counsellor to this Team I am truly blessed to belong to such a wonderful group of people. To be a part of their lives and to share our faith and our ups and downs together is a wonderful experience. Thank you Warrington 1.